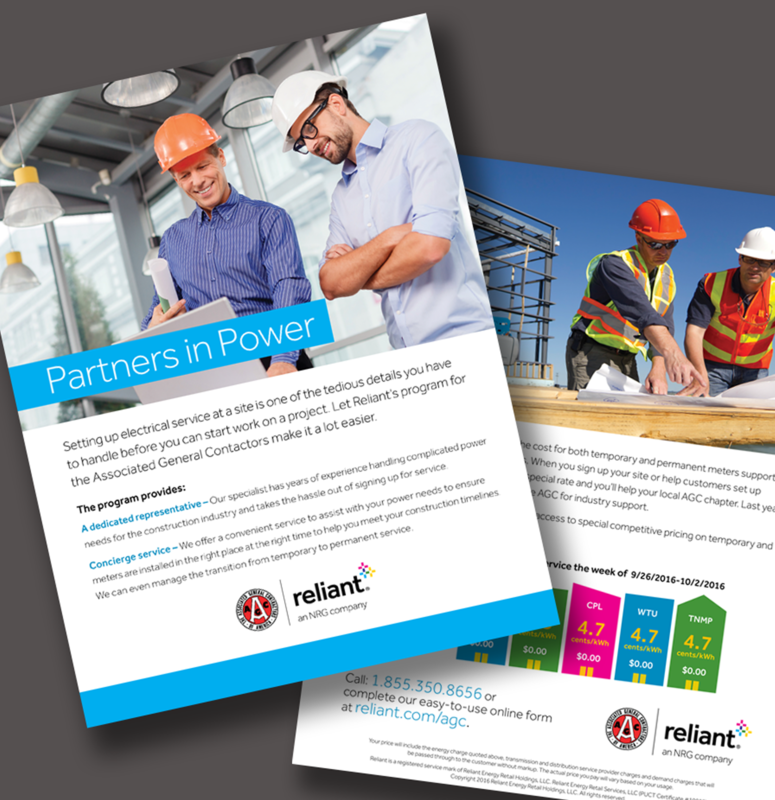 Denning & Denning redesigned a sales and marketing information tool that informs contractors about a special program provided by Reliant. The piece incorporated the brand guidelines while creating a fresh look. We worked with a Reliant business coordinator and an independent energy sector copywriter to develop messages that better suited their targeted audience. 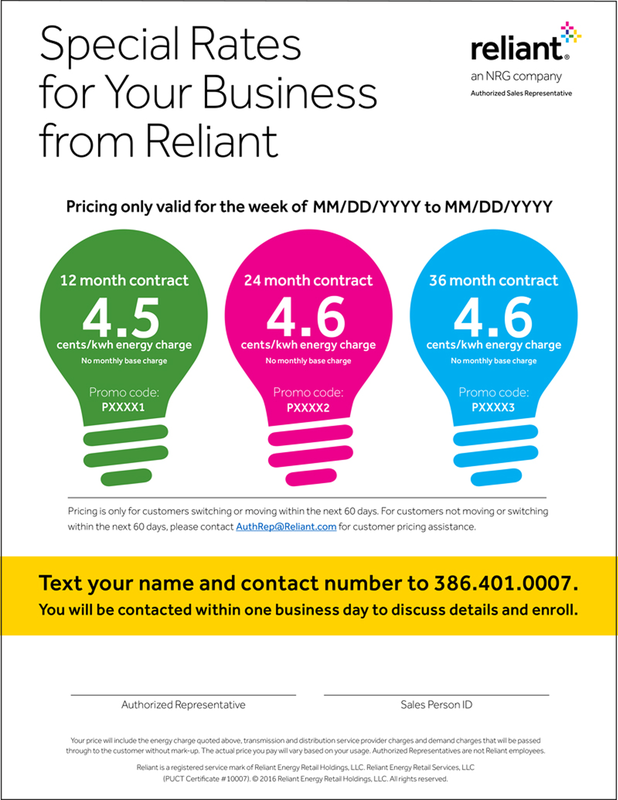 In addition, we designed editable PDF rate sheets for Reliant sales staff and client communication. Due to the fluctuation of energy rates, the sales staff needed a form that simplified negotiation processes.